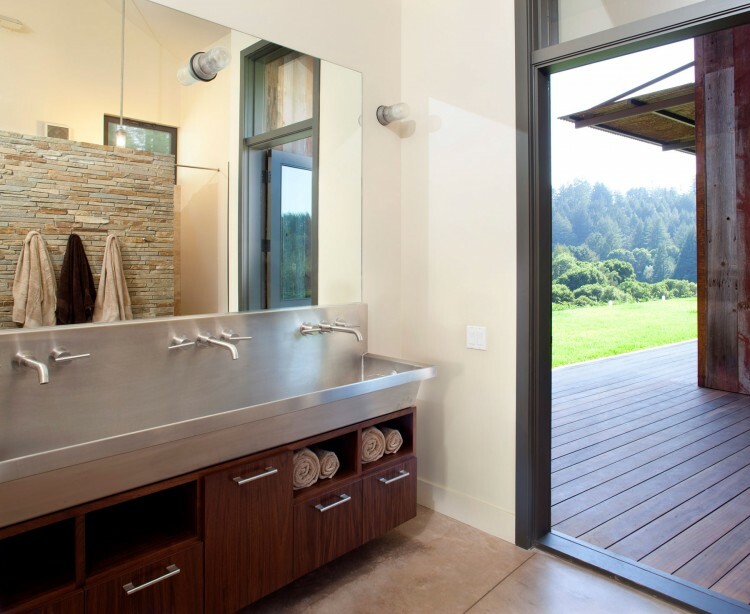 Completed in 2009 and designed for a family of eight, this beautiful residence is located in inland from the beach town of Aptos, California in the Santa Cruz Mountains. 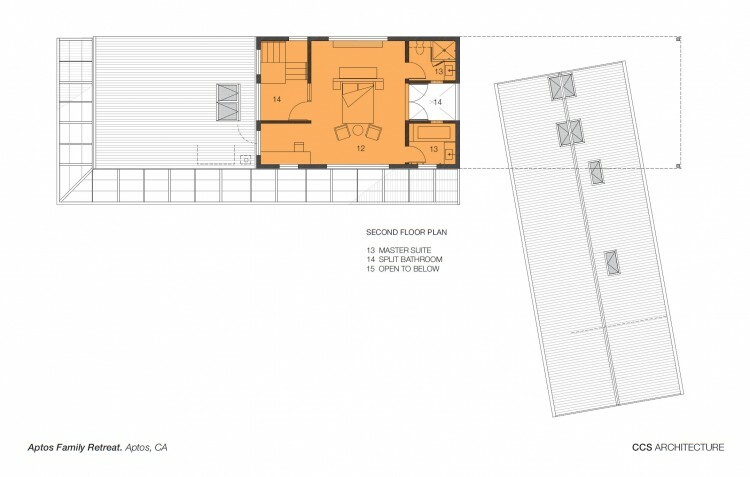 “This project was designed for a San Francisco couple with six children – with ages ranging from high school to college. 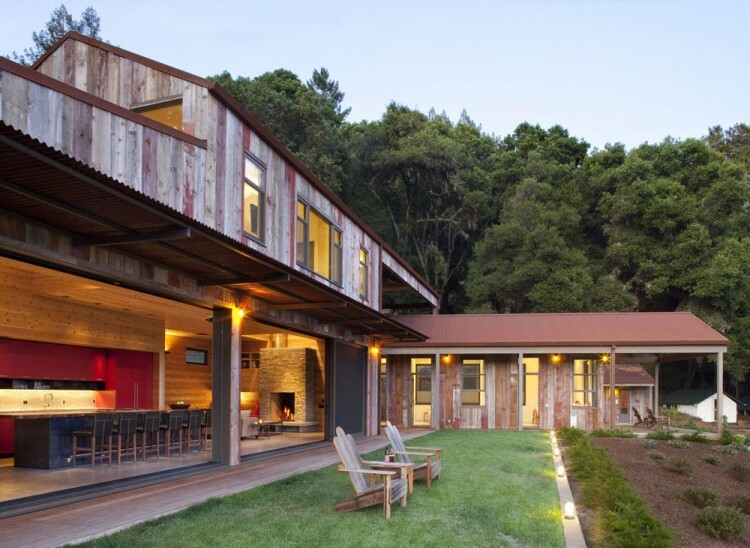 The property is located inland from the beach town of Aptos, California in the Santa Cruz Mountains, near the city of Santa Cruz. 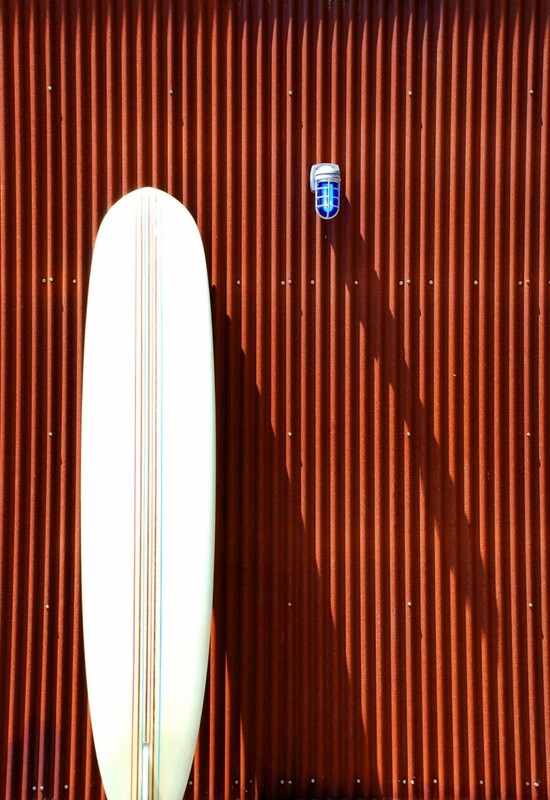 The 20-acre site has ocean and mountain views and is about five miles inland from the Pacific Ocean. 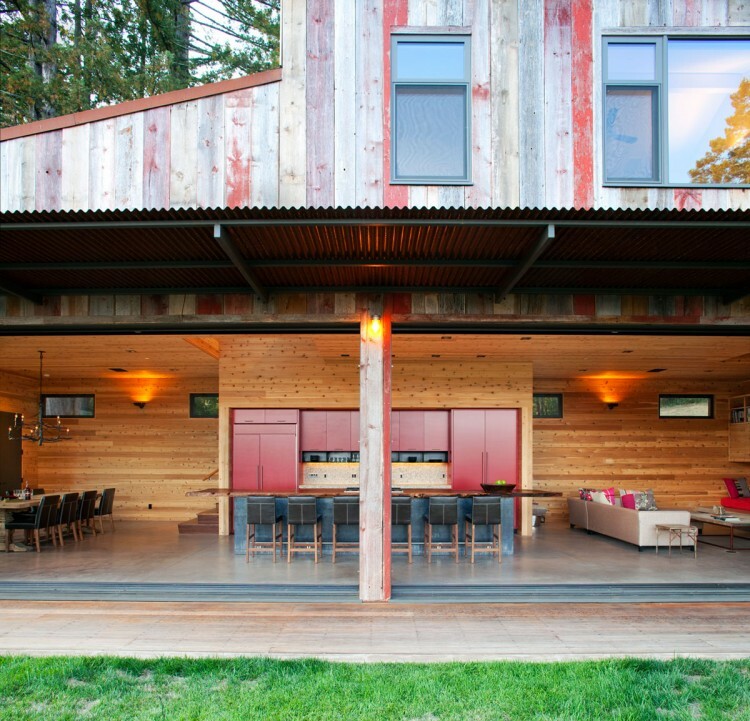 The family desired a setting that would be casual and rustic, and that would incorporate sustainable features to minimize the home’s carbon footprint. Diverse activities were part of the design program, including; partying, cooking, tanning, swimming, archery, horseshoes, gardening, and wood-splitting. The project has 2 primary buildings, plus accessory buildings and recreational components that were designed to work together as a country compound. 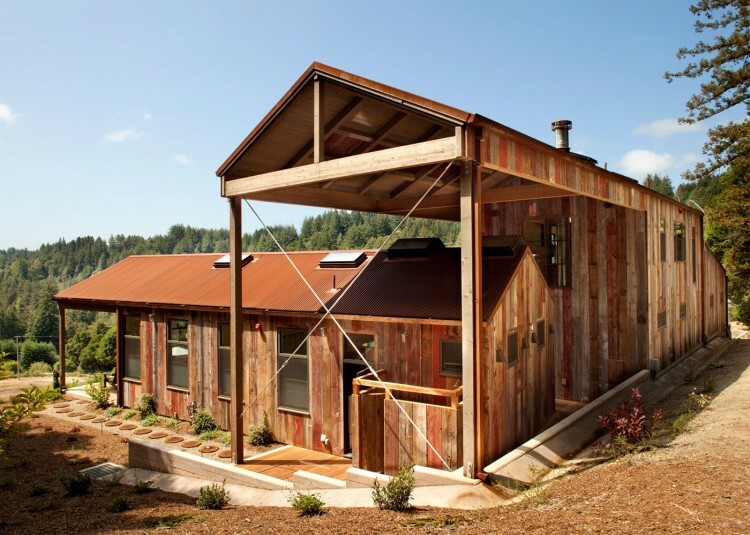 The 2800-square-foot Main House is composed of a ‘live building’ and a ‘sleep building’ that overlap at their roofs to create a linkage and sheltered outdoor space. The sleep building is slid under the higher roof of the live building. 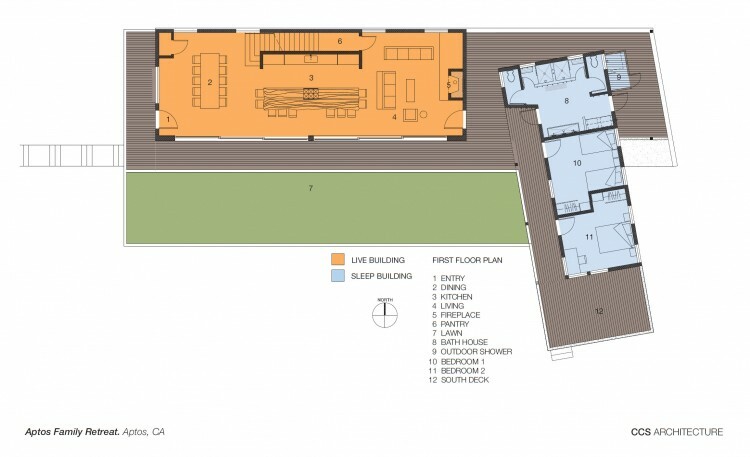 The live building contains the dining, living, and kitchen areas, plus a master suite upstairs. 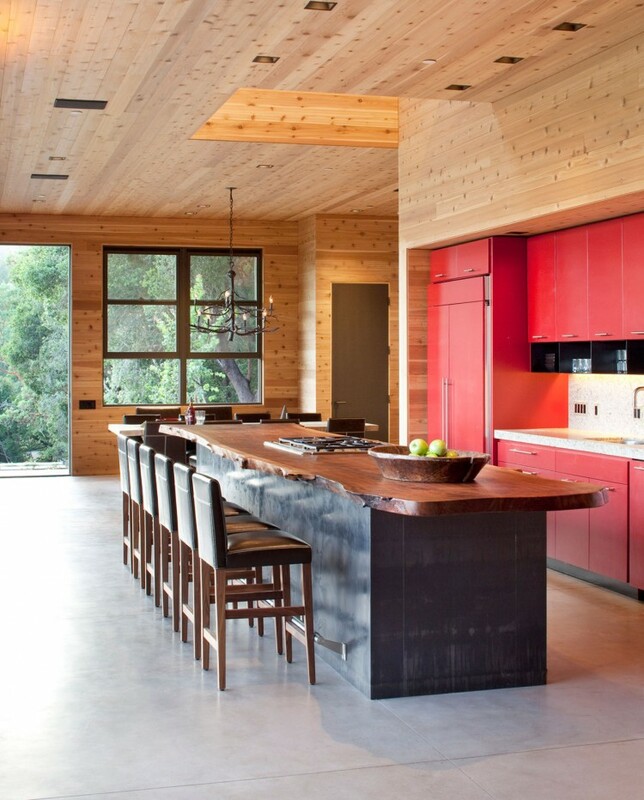 The central kitchen anchors the main space, which is flanked by dining and living. 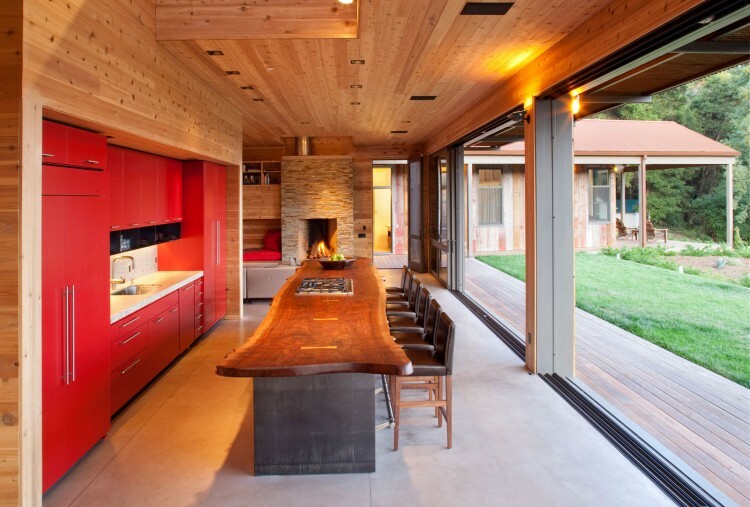 The kitchen island has an eighteen foot long, three inch thick single walnut slab countertop that has wany edges and was cut from a large fallen tree. 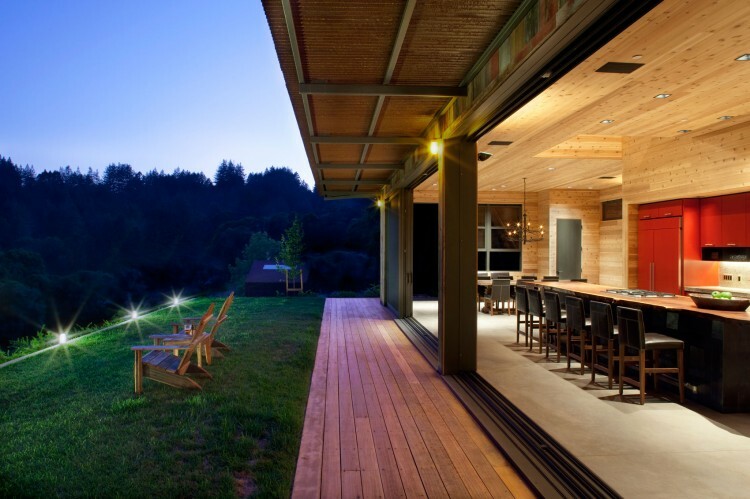 Two, triple sets of eight by ten foot sliding glass doors open this main living space to the yard and the views, creating a panoramic, 32-foot-wide clear opening when fully deployed. 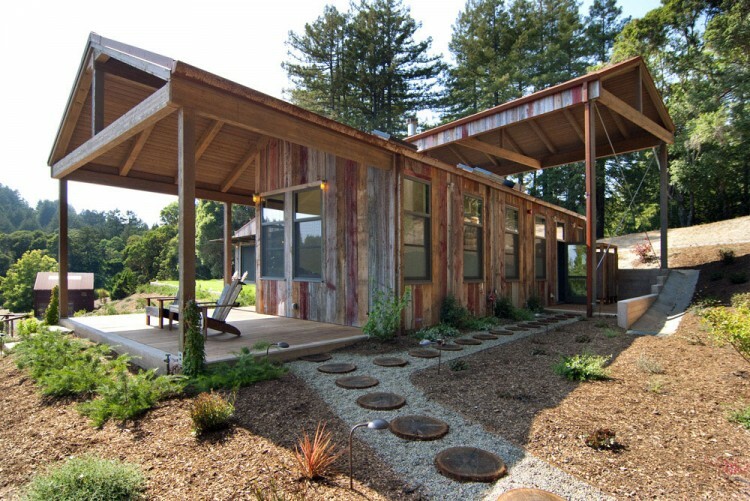 The smaller building, with two bedrooms and a shared bathhouse, angles out to form an L-shaped yard. 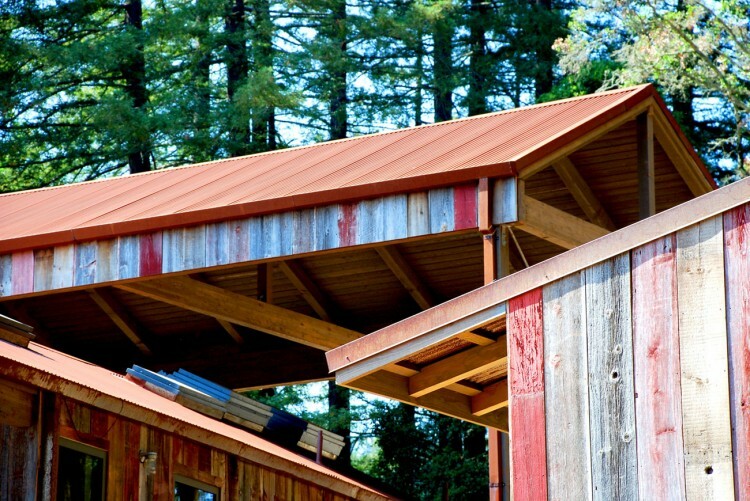 Reclaimed barn wood and Corten rusted steel roofing covers the exterior of the buildings. 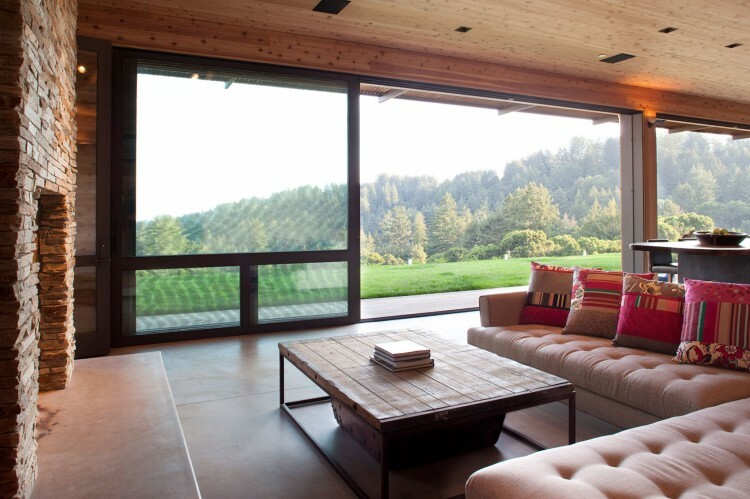 The interior is a composition of concrete floors, wood, stone, and steel. 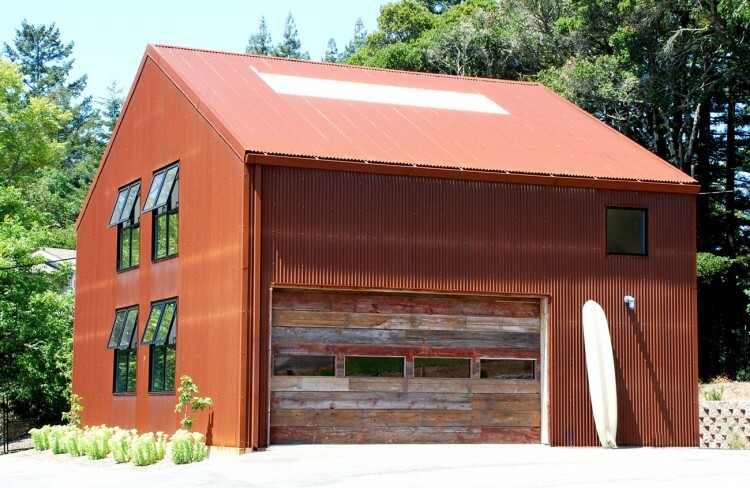 The Barn is a 1600-square-foot, Corten rusted steel warehouse outfitted for use as the property’s “clubhouse.” The first floor is set up for ping pong and large-screen TV watching, and houses surfboards and other recreational beach equipment. 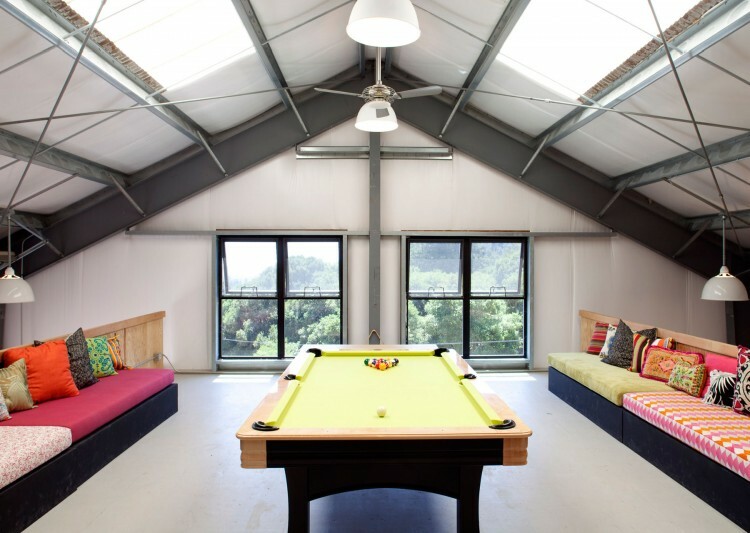 The loft level is set up with a billiard table and sofa beds all around for additional slumber party needs. 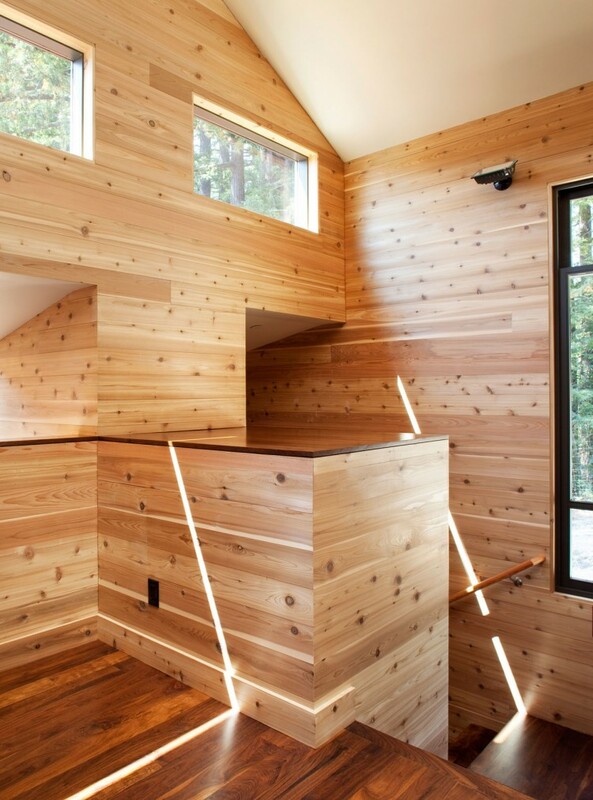 The interior is a combination of the structural steel shell and the exposed wood loft. The property itself pulls it all together. 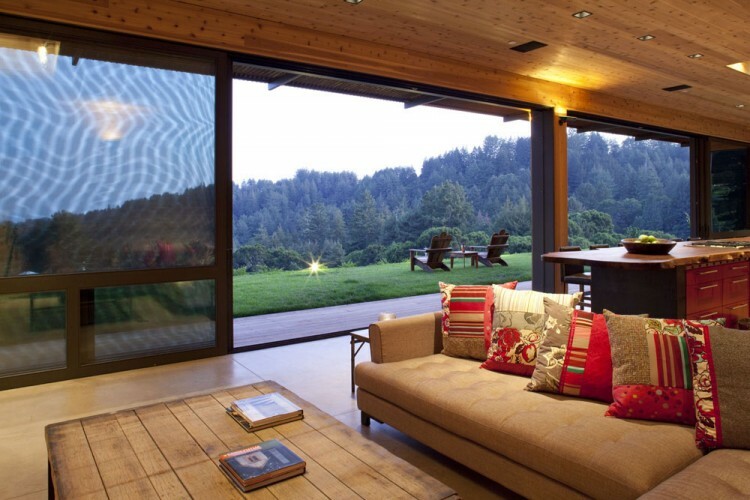 The house and barn sit on the sloped meadow surrounded by redwood trees and with distant ocean views to the south. 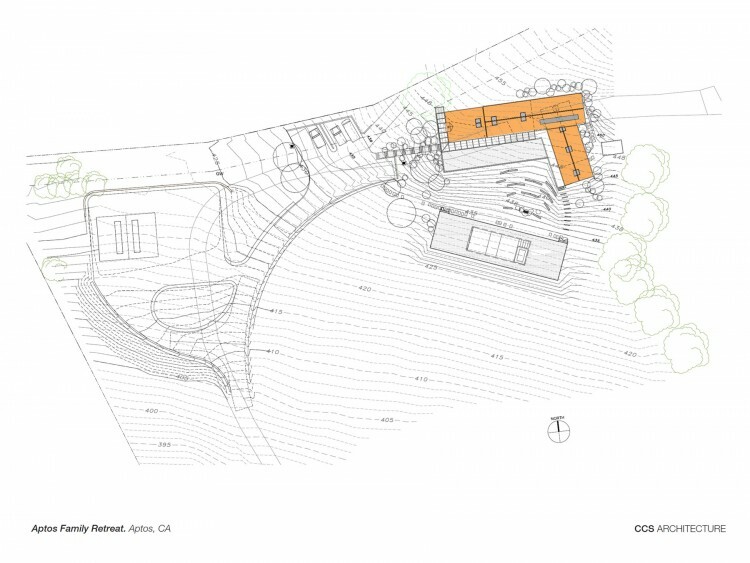 The activity areas are arranged around the outside of the house and barn. The swimming pool is below the main house, with a fire-pit to the side. The archery range is above the house, and the horseshoe pit is between the house and the barn. 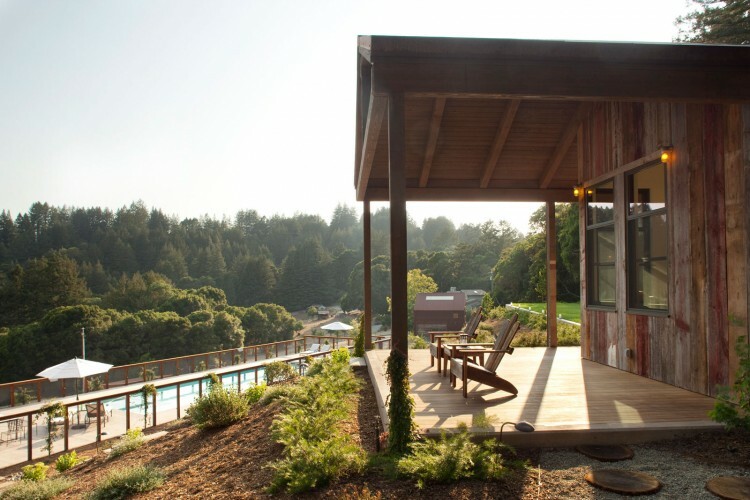 Two tent cabins are set among the redwoods and serve as guest houses. A sauna is located between the sleep building and the tent cabins. 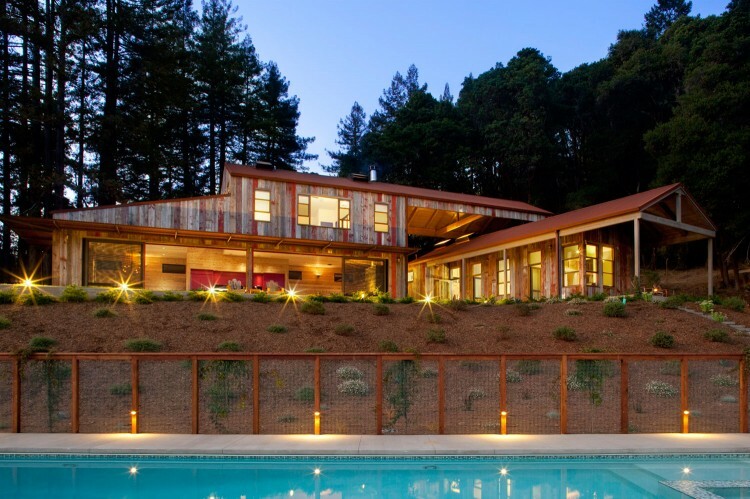 The project incorporates the following sustainable features:Solar thermal system for domestic hot water, the pool, and the hydronic radiant floor. 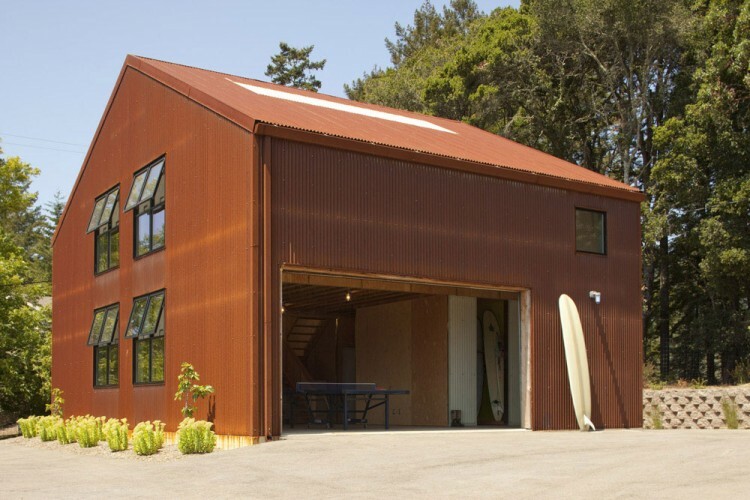 Corten rusted steel, a high-content recycled product, for the roof of the main house, and for the walls and roof of the barn.